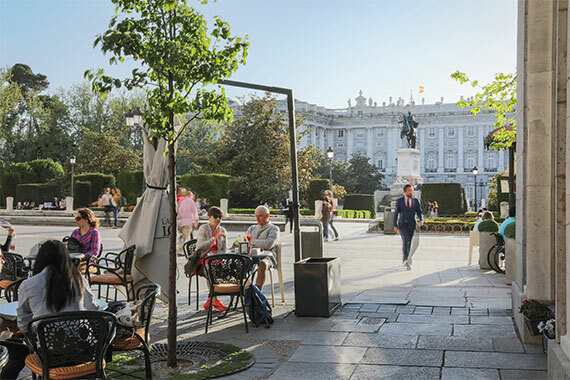 We have the privilege of being located in the Plaza de Oriente with direct views of the Palacio Real. Its unbeatable location on the first floor provides stunning and unique views of one of the most beautiful squares in Europe. 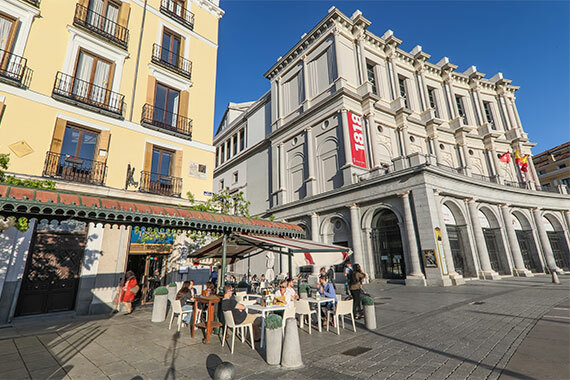 The Plaza de Oriente has underground parking with pedestrian access located 10 metres from the restaurant. Friday and Saturday: noon to 1:30 a.m.